The time is ripe for a royal celebration. 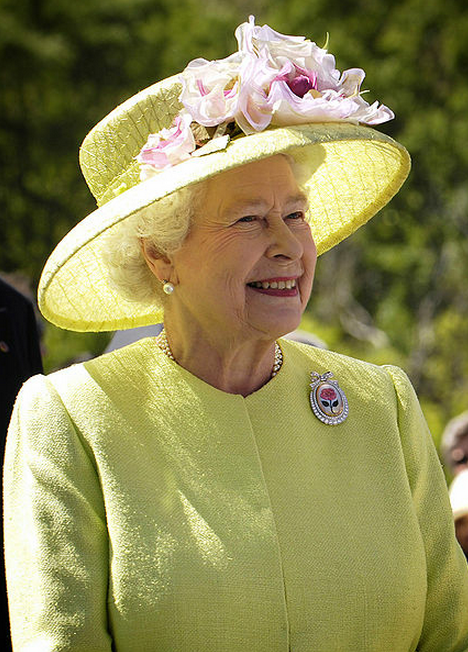 The United Kingdom is abuzz this year because it is Queen Elizabeth II's Diamond Jubilee. 2012 marks the 60th anniversary of her ascension to the British throne. A myriad of activities has been going on since the start of the year with more celebratory activities to come during Central Weekend, which starts June 2 and ends on the anniversary of her Jubilee, June 5. Queen Elizabeth II has served the British and the people of all the other commonwealth realms, territories and crown dependencies. She is the representative of Britain's past and present. The British Empire, once a super power that ruled nations across the globe, introduced to its subjects the British way of governing, their culture and their language, English. The Queen continues this tradition by being the face of the British Monarchy. She symbolizes continuity and stability in the 21st century. Princesses Elizabeth and Margaret Rose, May 1939. It was on April 21, 1926, at exactly 2:40 in the morning that Elizabeth Alexandra Mary graced the world with her presence. Princess Elizabeth of the House of Windsor was born in Mayfair, London. Her father and mother were the Duke and Duchess of York. 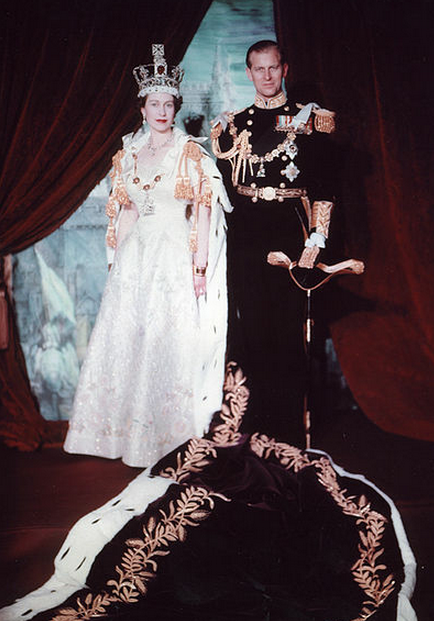 The Duke was later crowned as King George VI and the Duchess became Queen Elizabeth. There was no expectation at all from the people of Britain that the little princess would become queen one day. After all, she was only third in line to the throne. Before her were her uncle, Edward, Prince of Wales, and her father. Princess Elizabeth lived a charmed life together with Princess Margaret Rose, her younger sibling. Life was quiet for the whole family at least until King George V, her grandfather, passed away. Prince Edward assumed the throne by virtue of being the eldest son. But King Edward VIII did not stay long as King. He gave up his crown to marry Mrs. Wallis Simpson, an American divorcee. It was a scandal that rocked Britain. The Duke of York then became King George VI in 1937. This made Princess Elizabeth the first in line to the British throne. Her quiet life then came under scrutiny because one day she would be Queen of England. Her and her sister's education was done at home. She studied all matters required of her position as future queen. Apart from constitutional history, law, religion and other essential subjects, Princess Elizabeth learned how to speak French, studied art, music and engaged in sports. Princess Elizabeth fell in love with Lieutenant Philip Mountbatten whom she married on November 20, 1947. They married in historic Westminster Abbey. The Second World War just ended so the ceremony was kept as simple as possible without diminishing pomp and circumstance. The Lieutenant became His Royal Highness The Prince Philip, Duke of Edinburgh after the wedding. In the 64 years that they have been together, the royal couple had four children. From their four children, they gained eight grandchildren and only one great-grandchild. 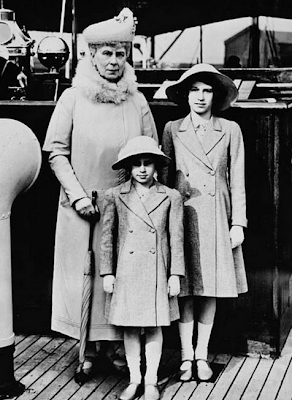 Two of their children, Prince Charles (first in line to the throne) and Princess Anne were born prior to her coronation. Prince Andrew and Prince Edward came after she assumed the throne. On February 2,1952, King George VI succumbed to death, news she heard while she was in Kenya. Her father's death shifted the power to her as she was first in line to the British throne. Princess Elizabeth found herself being crowned as the new Queen of England in the Westminster Abbey on June 2, 1953. The well-attended ceremony was also heard on the radio. It made history since it was the first coronation ever seen on television. Queen Elizabeth II is the monarch of the United Kingdom, where the official language is British English. The formal name of the United Kingdom is The United Kingdom of Great Britain and Northern Ireland; UK or Britain for short. It is one of the 15 nations that form part of the Commonwealth Realms. There are four countries that make up the UK: England, Northern Ireland, Wales and Scotland. In these countries, Irish, Welsh, Cornish, and Scottish Gaelic are some of the recognized regional languages. 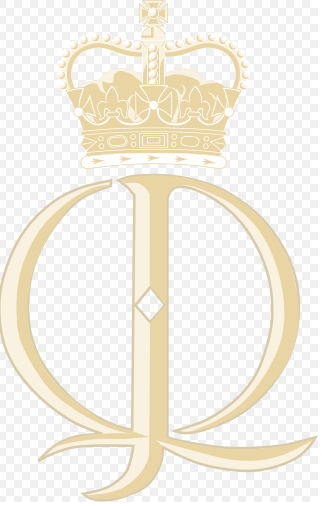 The other nations under the Commonwealth Realms and where Queen Elizabeth II is Head of State are: Australia, Antigua and Barbuda, Barbados, Canada, Belize, Grenada, New Zealand, Jamaica, Solomon Islands, Papua New Guinea, St Lucia, St Christopher and Nevis, St Vincent and the Grenadines, The Bahamas, and Tuvalu. The Queen is also Head of State of 14 overseas territories and 3 crown dependencies. The United Kingdom functions under a constitutional monarchy, of which the current monarch is Queen Elizabeth II. This form of government is in contrast to absolute monarchy where the king or queen literally made all the decisions for their subjects and where all governing powers rested on the ruling monarch. In the United Kingdom, the monarch has no real governing powers. It is the British Parliament that passes the laws that govern the country. But she does sign all laws created by parliament. So what does the Queen do? A lot! Queen Elizabeth, although not expected to run the government, serves as its head of state. She is the face of the United Kingdom and represents the government in trips abroad as well as hosts visiting dignitaries from all over the world. The Queen heads the judiciary as the Fount of Justice. Queen Elizabeth is also the head of the Armed Forces. Likewise, Queen Elizabeth is head of the Church of England. Upon advice from the current Prime Minister, she appoints the archbishops and the bishops of the church first established by King Henry VIII. 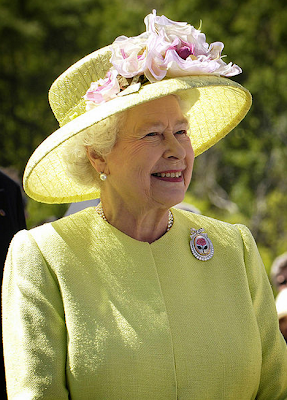 Queen Elizabeth supports many charitable organizations and causes. Her date book is full of appointments that require her attention. In some of her ceremonial or diplomatic duties, members of her royal family join her time and again or serve as her representatives. Queen Elizabeth has always taken her role seriously. In fact, ceremony and tradition are very important to her reign. Everything seemed black and white to her. But it seems she has mellowed a bit. After surviving harsh criticism and the continuing changing of the times, the Queen today seems to be more accessible to the common man. She even owns an iPod, has an email account and, if reports are right, has played several games on a popular gaming platform. A number of formalities associated with the House of Windsor have been set aside. A number of places and treasures associated with the royal family are within reach of the public. She is using the Internet, through The Official Site of the British Monarchy, to stay connected with the people. It is a tool for everyone in and outside of the monarchy to know more about her, her family, and her duties as queen. There are many events that have transpired since the beginning of the 2012 (and even before that) in preparation for Queen Elizabeth II's Diamond Jubilee. More activities are lined up at the local and national level in the UK and in the other realms, territories and crown dependencies in the next few days, weeks and months. All of these can be found in the official website of her diamond jubilee. In some of these events, participation of other members of the royal family is expected. It looks like the Queen is not ready to relinquish her throne just yet. Queen Elizabeth II may not be part of running the governments under the Commonwealth Realms but she does play an important role. 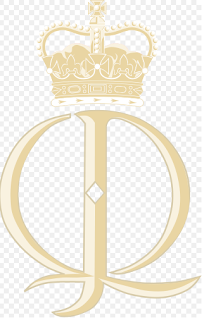 She is the link to all the Commonwealth Realms, overseas territories and crown dependencies, which were all part of the British Empire at one point in history. Queen Elizabeth II has been handling more than 400 engagements each year. She also supports over 600 charities. The beloved Queen of England continues to perform her royal duties to the best of her abilities and at the same time, play grandmother and great-grandmother to her grandchildren and great-grandchild. To Her Majesty Elizabeth II, Happy Diamond Jubilee! When it comes to translation and interpretation services, Day Translations, World Interpreting, Inc., and Your Spanish Translation are like royalty. These three companies are a cut above the rest. They offer professional interpretation services that can range from phone interpreting, legal interpreting, medical interpreting, multilingual interpreting and more. The accurate interpretation services they offer you consist of but not limited to legal translation, email translation, book translation, and film translation. The professional employees of these three companies are waiting to hear from you anytime, any day. Contact them when you need any form of translation or interpretation service. You can never go wrong if you do. Great piece of information. best essay writing service Thank you very much.